The leaves have turned into shades of red, yellow, and brown. Now that we’ve welcomed a new season, it’s time for our carefully-curated list of Montreal activities. Many of you have been patiently waiting for Autumn’s arrival. This summer was a hot one and though we can’t complain, it’s somewhat of a relief to have cooler, crisper air bestow us. Montreal’s first ever Salon Jeux et Loisirs will be taking place on October 6 and October 7 at Place Bonaventure. Bring the family for fun activities like board games, video games, and more! There are plenty of spots to pick apples in the Greater Montreal Area. 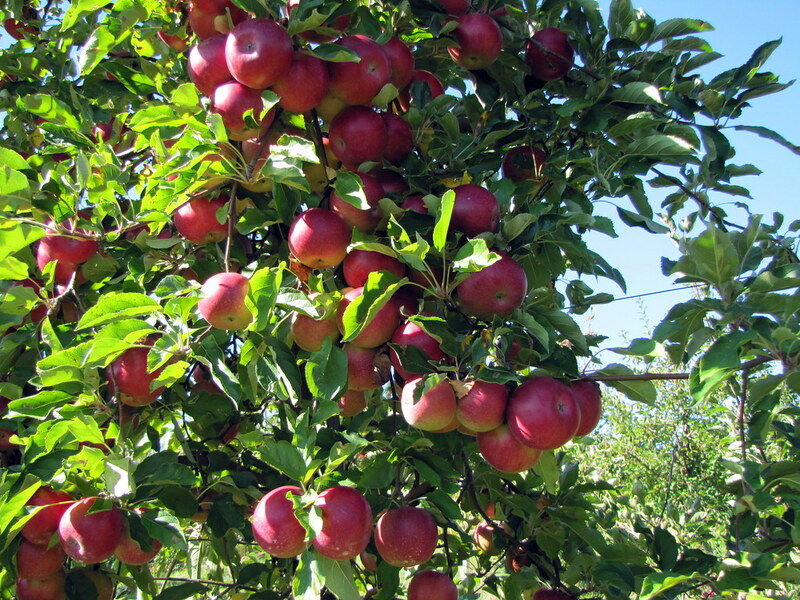 In St-Eustache, you could visit the Dubeault family’s apple farm, also famously known as La Magie de la Pomme. Open all month long, there is no reservation required – bring your family, buy a bag for apple picking, and enjoy! The 7thedition for Casino Against Cancer will be taking place on October 5. Start the night with their VIP cocktail hour then head over to the tables at 7pm to see who will win the big tournament! Brides-to-be! Head over to the North Shore on October 6 and October 7. The Sheraton Laval will be hosting a Bella di Sera wedding dress sale with price tags up to 90% off! 5. A Room full of Wiggles! Hot potato, hot potato! Hurry over and get your tickets. The Wiggles are coming to town on October 3. Did you know that Montreal is surrounded by farms that boast large, beautiful pumpkin patches? For instance, Verger Labonté is located in Notre-Dame-de-L’Île-Perrot, just 25 minutes away from Montreal! Make it a trip with the fam and pick out your pumpkins for the season. You heard it here: Steve Martin and Martin Short will be stopping by Montreal for their comedy show tour. On October 21, they will be performing at the Salle Wilfrid-Pelletier theatre at Place des Arts. Hockey season is back! Hurry and grab your tickets for the first home-game of the season. (Psst: we’ll be playing the Kings on October 11). Enjoy some cider in some of Montreal’s best pubs and bars. Le Darling is located on the Main and has some of the best ciders in town. Grab your friends and grab a drink! Starting October 20th, you can view the Françoise Sullivan exhibition, being held at the Musée d’Art Contemporain de Montréal. A true Canadian talent: Sullivan is a painter, sculptor, dancer, and choreographer. The exhibition will highlight the milestone creations of her career. Start drawing-up those “I Love Joel & Benji” posters! Good Charlotte’s on tour and they’ll be coming to Montreal on October 26. October seems to be quite the musical month for Montreal! Andrea Bocelli will be performing at the Bell Centre on October 21. Hurry, tickets for this one will go quick. …within a few minutes. Singles ladies and lads: there’s a speed dating event taking place at Sir Winston Churchill on October 13. Who knows? Love maybe in the air! Head over to Bristol Chai on Prince Arthur for a Chai Tea Workshop. Being held on October 11 and October 27, you can get behind the counter and finallyplay barista! You’ll learn the art of chai tea and enjoy a cup (or two!). Outerwear/leather retailer, Rudsak, will be having its oh-so famous sample sale from October 10 to October 14. Is it time for you to buy a new winter jacket? Then this sale is definitely one you won’t want to miss. Every weekend, until October 14, your little ones can hop aboard the Trains-Trains at the Old Port. Tickets are $4 per person and all family members are welcome. 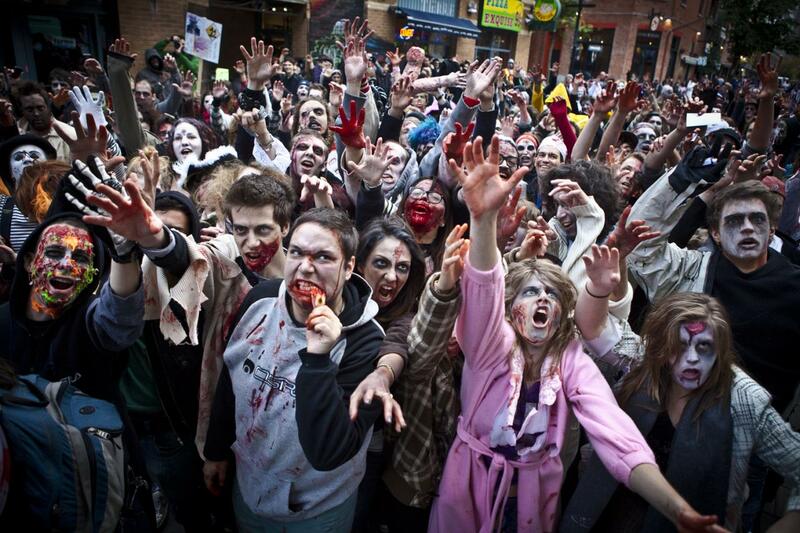 On October 27, from 1pm to 6pm, dress up like the “living dead” and take part in the official Zombie Walk. 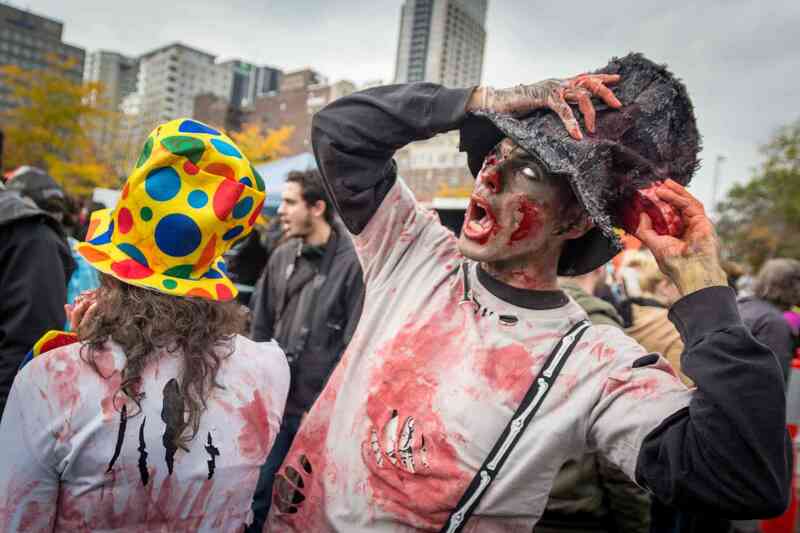 Get gory, get creative, and most of all: have fun! 19. Lights on Lights on Lights! On the weekend of October 20 to October 21, partake in Montreal’s very own Vegan Festival. With guests like animal activist Camille Labchuk and author Lori Gruen, this event is a total must-visit. Not to mention, Jean-Philippe, aka ‘The Buddhist Chef,’ will be the festival’s official spokesperson. Broaden your horizons and learn more about the food we consume! What events do you plan on attending this October?